Home About Universe Alien stars Astronomy Beginners Gallery Info Infographics Missions Physics Search for life Stars Videos How do astronomers measure extreme distances? How do astronomers measure extreme distances? Spotting objects that are very distant, and finding their distances is fascinating! When we look at the night sky, we get to observe a flat, two-dimensional view. So how do astrophysicists find the huge distances of stars and galaxies from Earth? 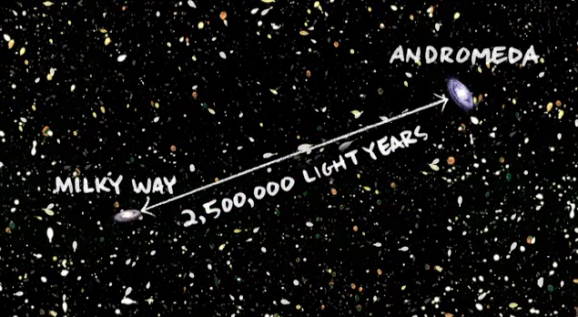 Yuan-Sen Ting from TED-Ed demonstrates how trigonometric parallaxes, standard candles benefit us in determining the huge distance of objects even numerous billion light years away from Earth.